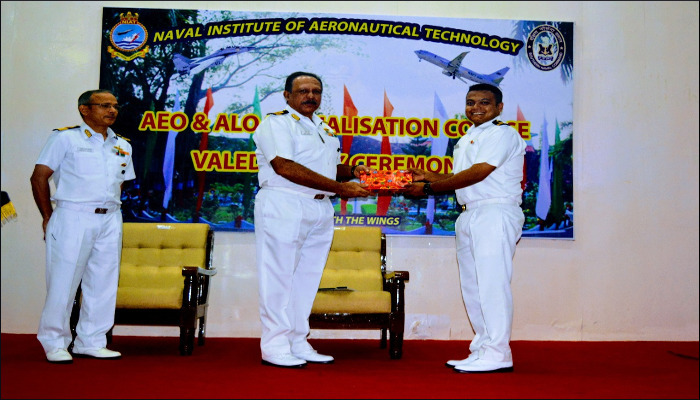 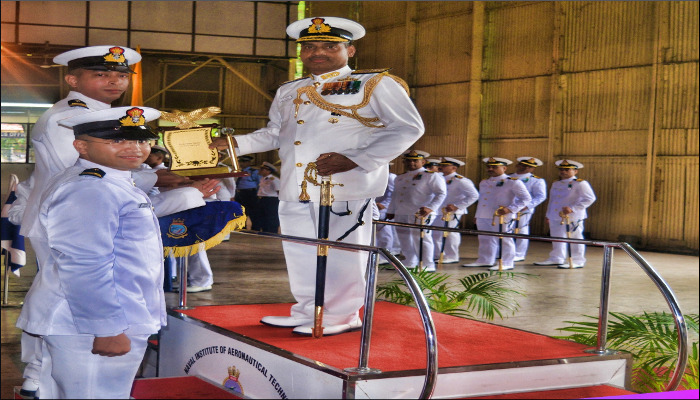 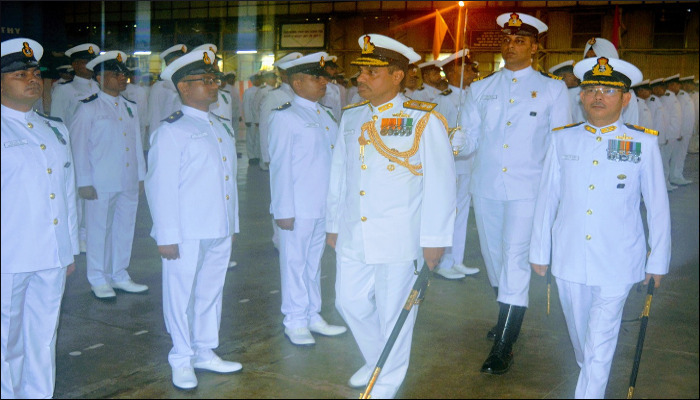 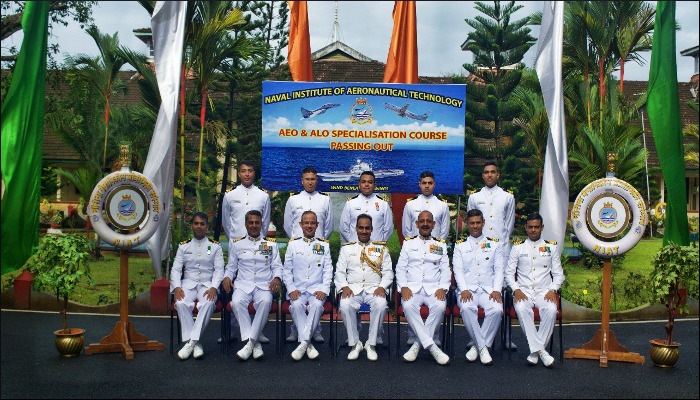 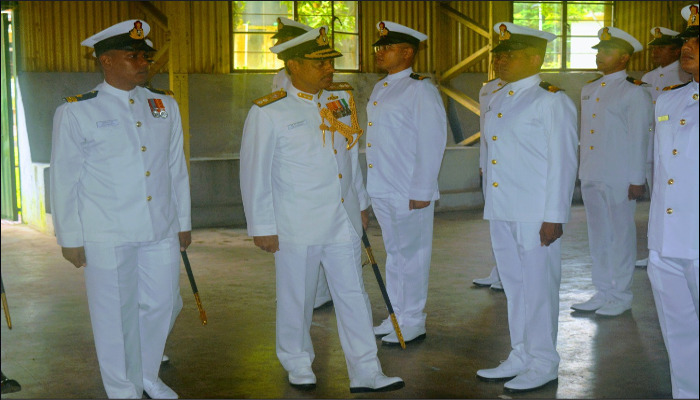 21 Indian Navy officers and four Indian Coast Guard officers of the 57th Air Engineering and Air Electrical Officers Specialisation Course graduated from Naval Institute of Aeronautical Technology at a Passing out Parade held at Naval Base, Kochi on 26 July 2018. 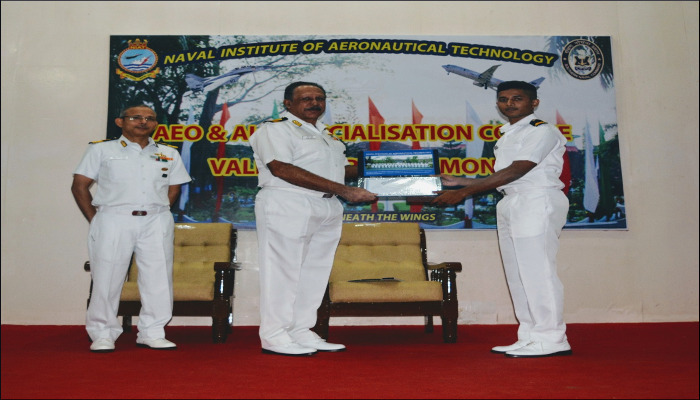 The PoP was reviewed by Admiral Superintendent, Naval Ship Repair Yard (Kochi). 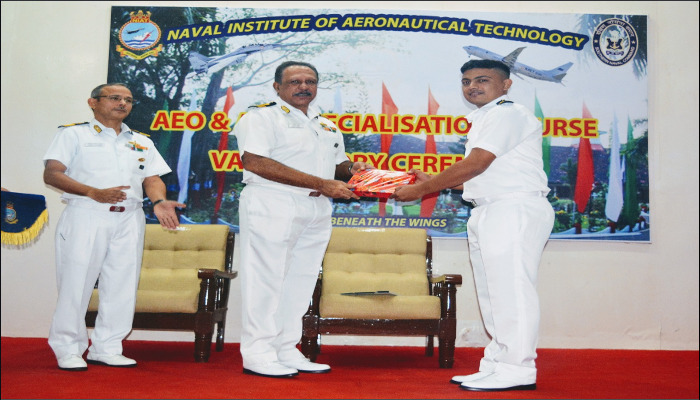 The officers underwent 52 weeks of training in advanced aeronautical subjects, besides practical training on various types of aircraft operated by the Indian Navy and the Indian Coast Guard. 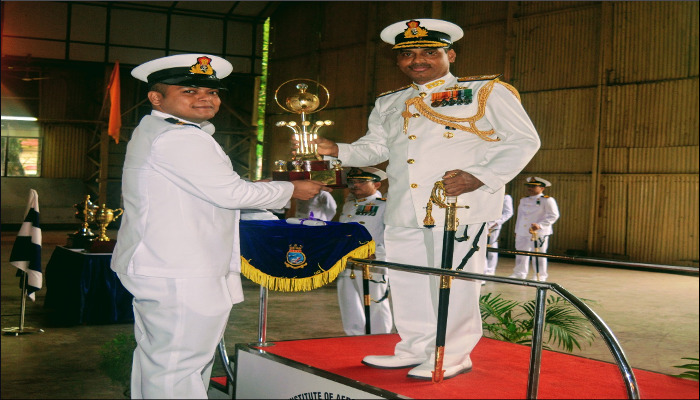 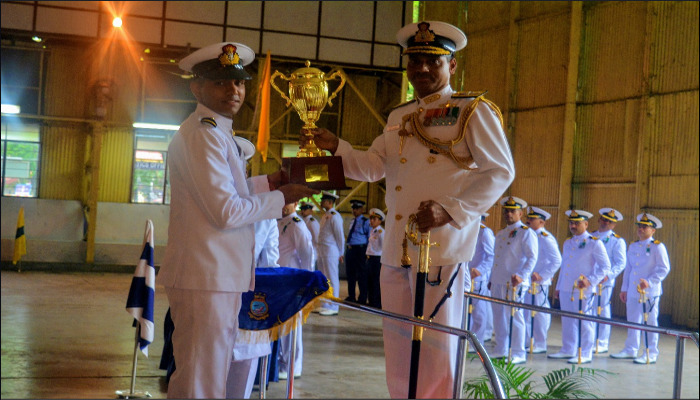 Lieutenant NS Giridharan and Assistant Commandant Arjit Pokhriyal were awarded trophies for standing first in overall order of merit amongst Air Engineering and Air Electrical Officers respectively. 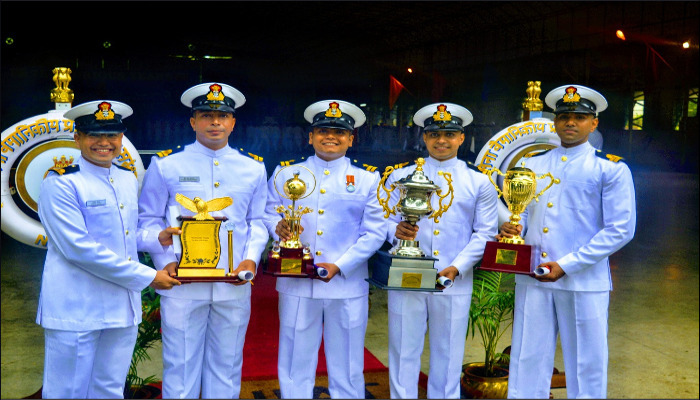 The Director General Coast Guard trophy for Best All Round Officer of the course was awarded to Lieutenant Umesh Saini, whereas the Venduruthy Shield for Best Air Technical Project was awarded jointly to two syndicates, the first comprising Lieutenants Uma Maheshwar and Bebito Thomas and the second comprising Lieutenant E Khushwanth and Sub Lieutenant Amogh Bapat, for their projects on ‘Working Model of Dunking SONAR’ and ‘Development of Algorithm for Voice Operated Flight Control System’ respectively. 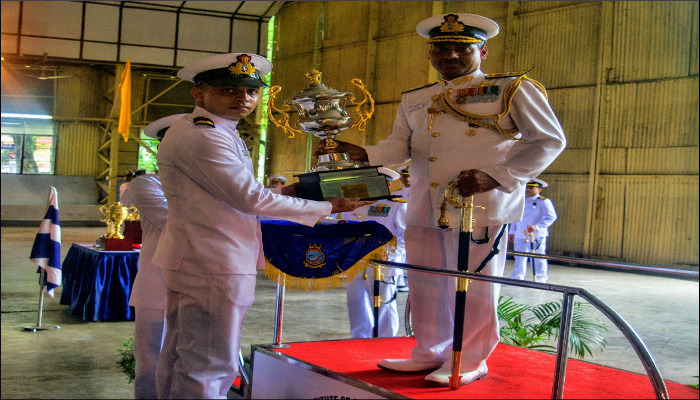 The officers will proceed to various frontline squadrons and Air Stations for On Job Training, which will culminate in their being awarded MTech degree by the Cochin University of Science and Technology.